NOTE: If ordering for a wedding registry gift, please add the bride and groom’s name to the “Order Notes” section of the checkout page to ensure it reaches them. As they begin their life together you want to give the happy couple something to remember, not an envelope filled with money. A gift card for merchandise on our website is also safer than cash and allows the happy couple to get exactly what they want. Choose from $50, $100, $250, or $500. 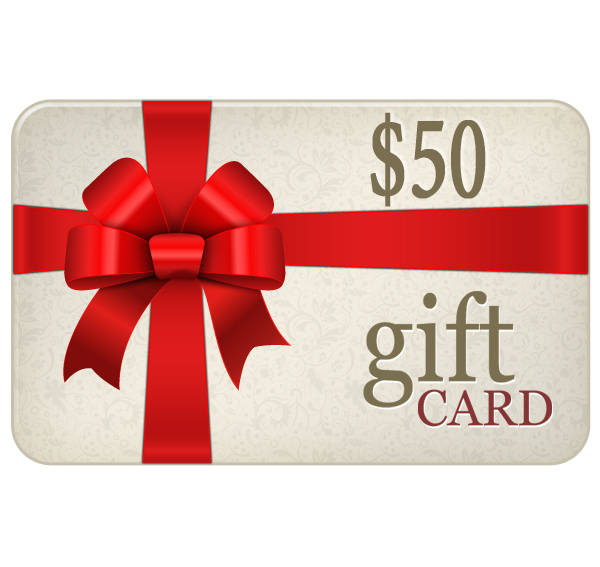 Want to get a gift card for a specific item or amount? No problem. Just get in touch with us.